Welcome to another exclusive & FUN BOM, designed just for you! 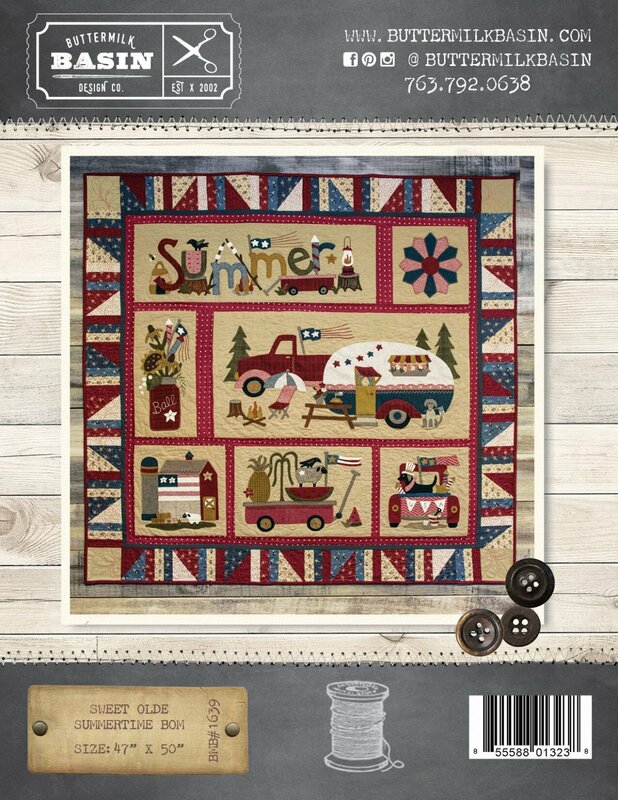 Stacy has many fond childhood memories of growing up in a small town, out in the country and enjoying the simple joys summer has to offer. 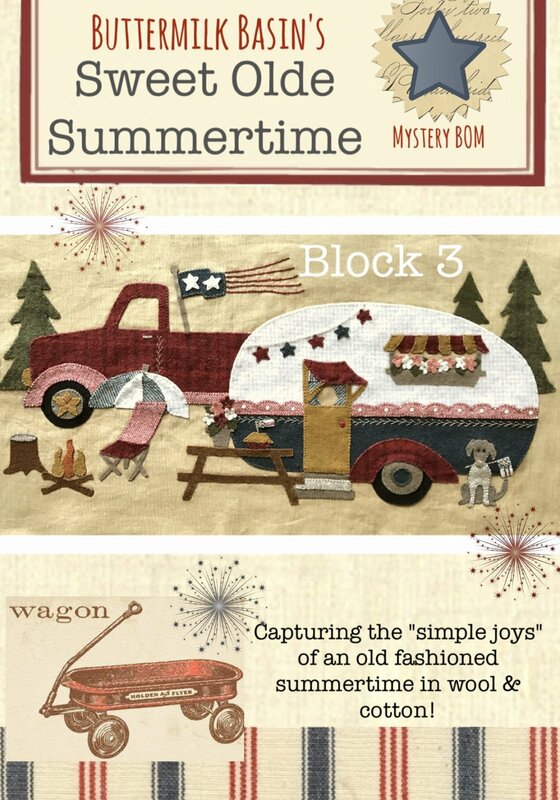 Those JOYS are captured in wool and cotton in this Americana filled BOM! Once again, there is no need to register or sign up, simply order your kits are they become available! Please note this is not available as a pattern or available to purchase anywhere else! How exciting is that!!!?? Enjoy! 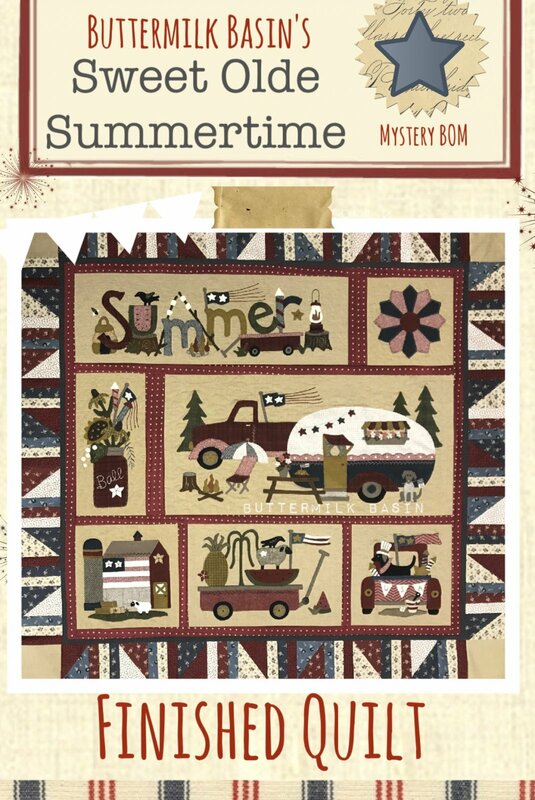 Sweet Olde Summertime is a gorgeous quilt! 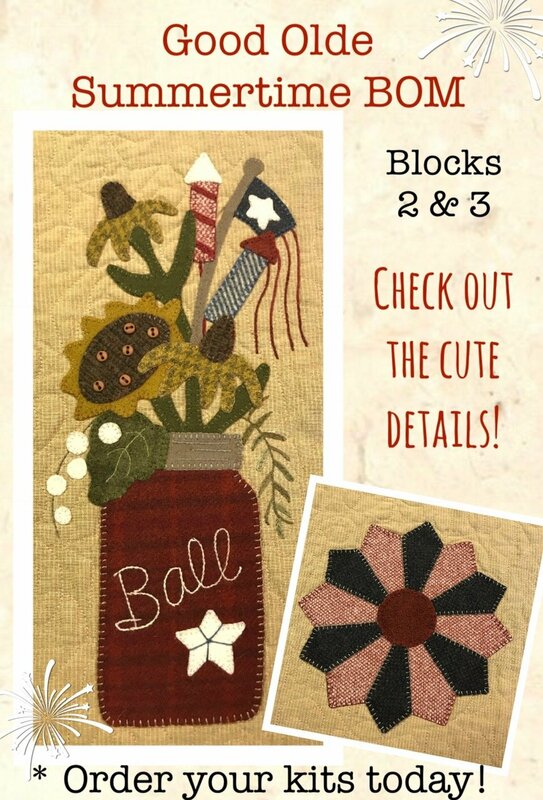 The block are wool applique on cotton backgrounds. The quilt is 47" x 50". 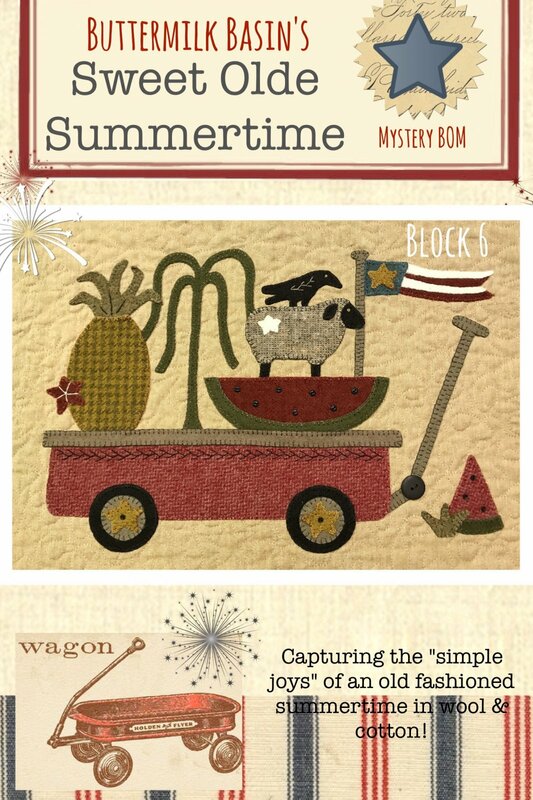 This is the finishing kit for the Sweet Olde Summertime Block of the Month! 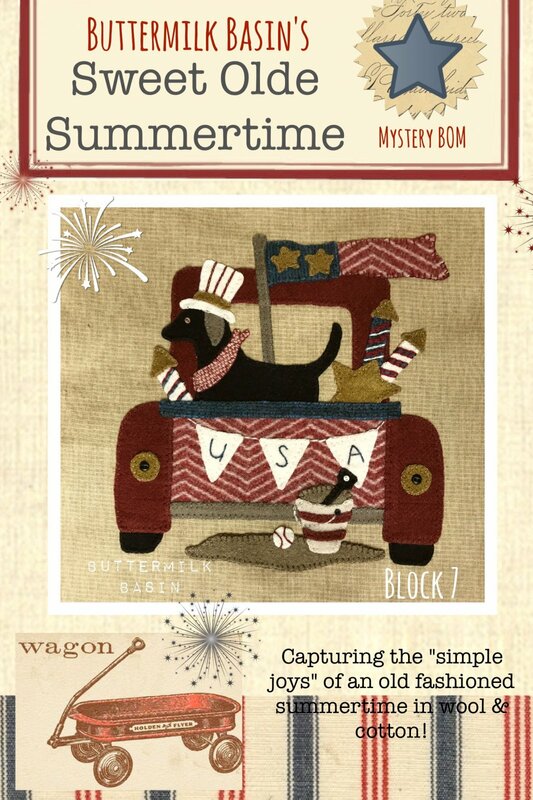 The kit features fabric from Stacy's new fabric line, Spirit of America! The finished quilt measures 47" high x 50" wide. It includes all of the fabric to finish the quilt top. 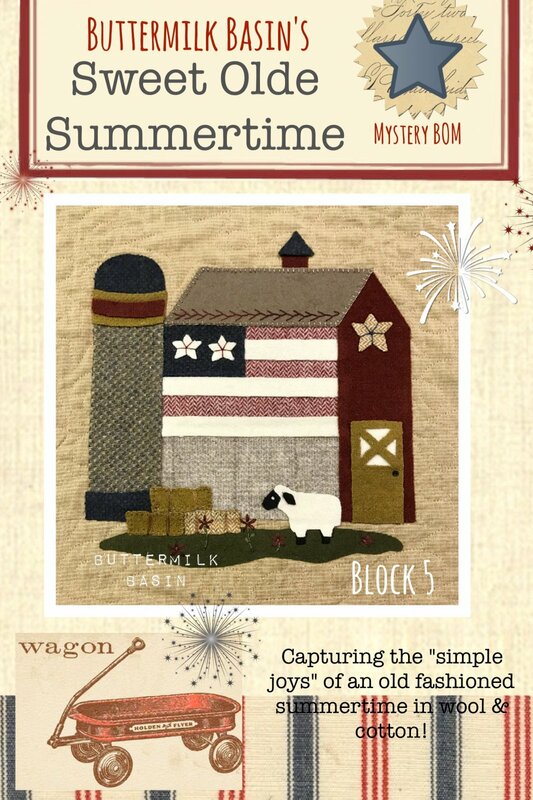 This is block 1 in the Sweet Olde Summertime Quilt! The kit includes the pattern, wool and fabric background. 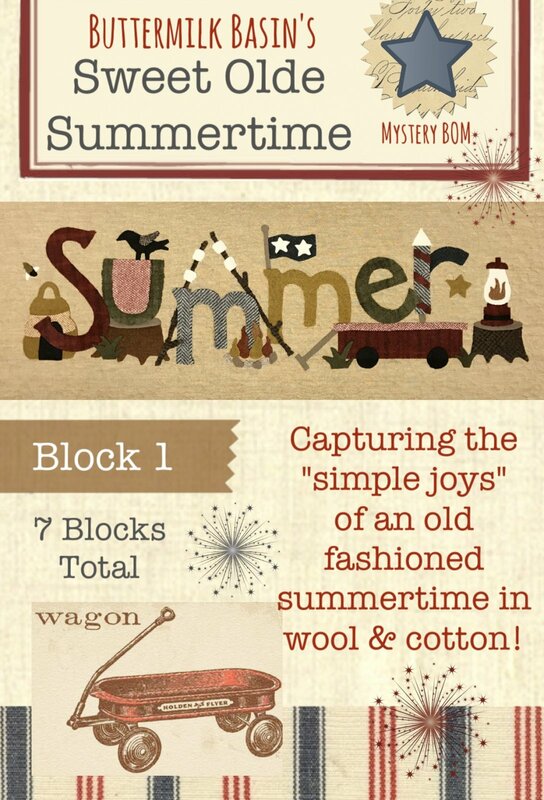 We are so excited to be offering this 7 Block Mystery BOM done in wool & cotton! Block sizes are 7 X 14.5 and 9 X 9 inches finished. This is the largest block in this BOM. It is 16 X 32. We will cut each block down when we put the entire quilt together!